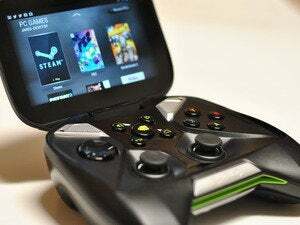 Nvidia is reportedly about to launch another Android device that can stream full-blown PC games from a networked computer, similar to the company's Nvidia Shield gaming handheld. The BBC's unnamed sources describe the product as a “new gaming device” with Nvidia's K1 processor, so it's unclear whether this is a tablet or something else. But it will reportedly run the full range of Android apps as well as GameStream, a feature on the Shield that lets players stream high-end PC games over a local Wi-Fi network. It may also include HDMI output, letting the device double as a TV game console. Most likely, the BBC's story is referring to the “Shield Tablet” that appeared in FCC documents earlier this month. Those documents described a standalone tablet, rather than a gaming handheld with an integrated controller like the Shield. 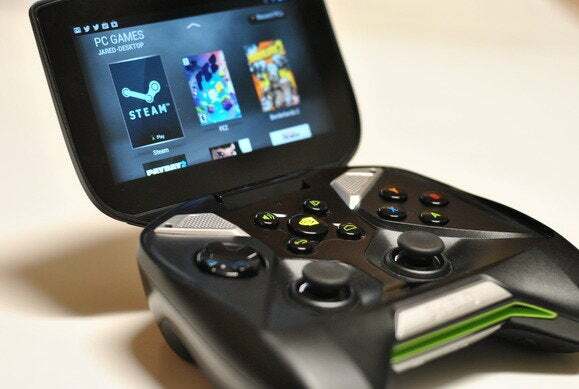 The BBC says that Nvidia will offer a “budget-priced separate controller” for the device; it's easy to imagine a controller that snaps onto the frame, kind of like Wikipad's Android tablet. Will anyone be interested in this kind of device? The original Shield, after all, hasn't been a game-changer, and Nvidia has dropped the price by $100 since it first launched last summer. But a lot's changed over the last year. GameStream, which launched as a beta feature, has been tweaked and refined, and it now works amazingly well. While this feature does require a compatible Nvidia PC graphics card, the barrier to entry has lowered over time, with the cheapest compatible cards starting at around $100. Nvidia is also experimenting with remote GameStream for playing PC games outside the house. And a couple months ago, Nvidia ported Valve's Portal and Half-Life 2 to the Shield, proving that the company's chips can run last-gen PC games with no streaming setup at all. If Nvidia can pack all those features into a device that doubles as an all-purpose tablet, it may finally have a winning mobile device for die-hard PC gamers.